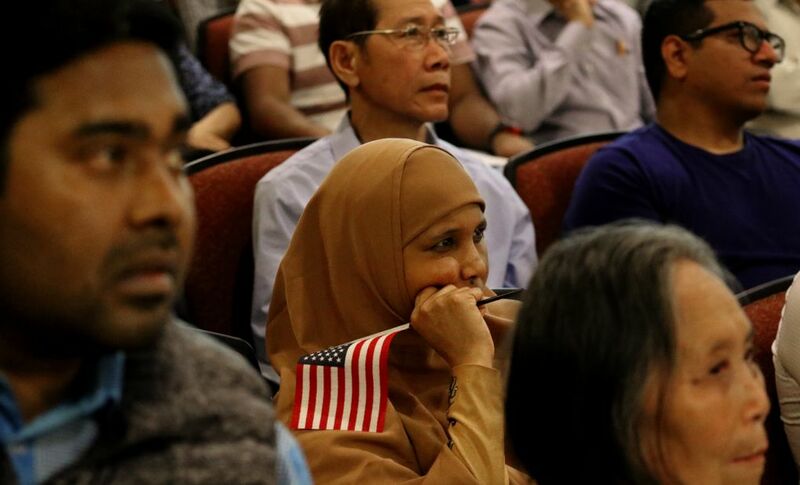 It’s a long road to belonging for those Americans who join a country struggling to address immigrants, refugees and undocumented residents. 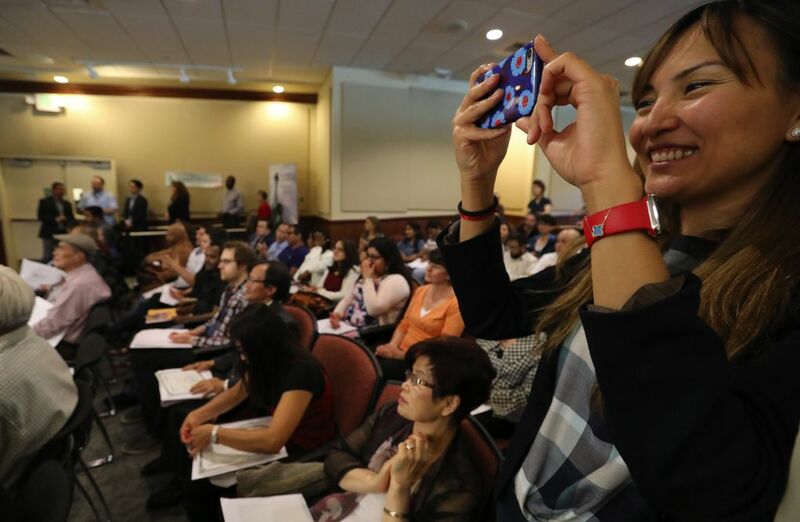 OSBALDO HERNANDEZ REMEMBERS exchanging small talk with the naturalization officer who recently conducted his interview for U.S. citizenship, commenting on the staffer’s office décor to demonstrate his language skills. 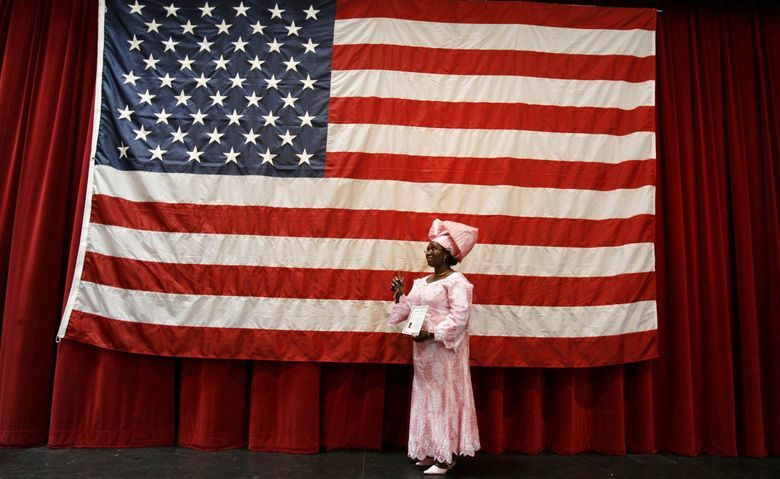 When applying to become a U.S. citizen, every little thing counts. 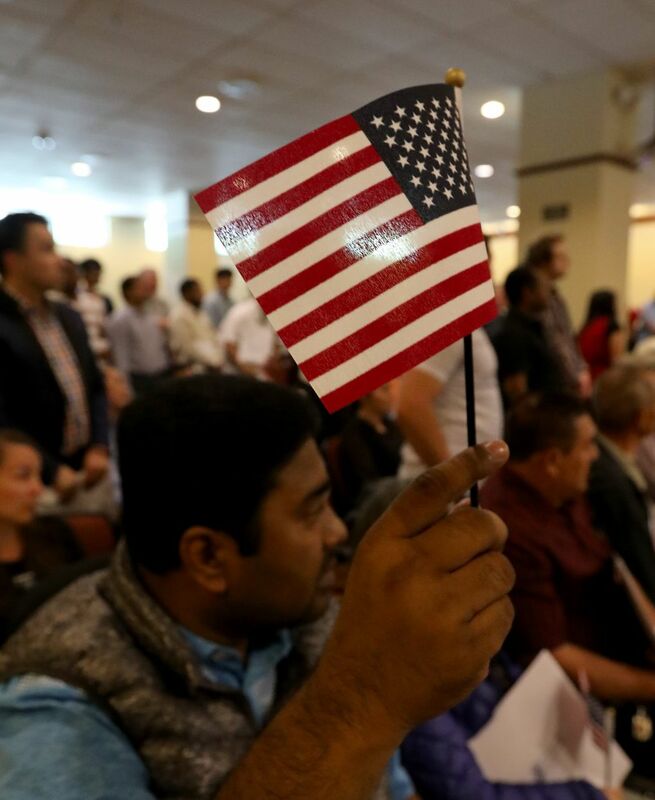 Having lived in the United States for 16 years, 11 years more than the minimum for a Green Card holder like himself to become a citizen, Hernandez was ready to prove himself worthy of the privilege. 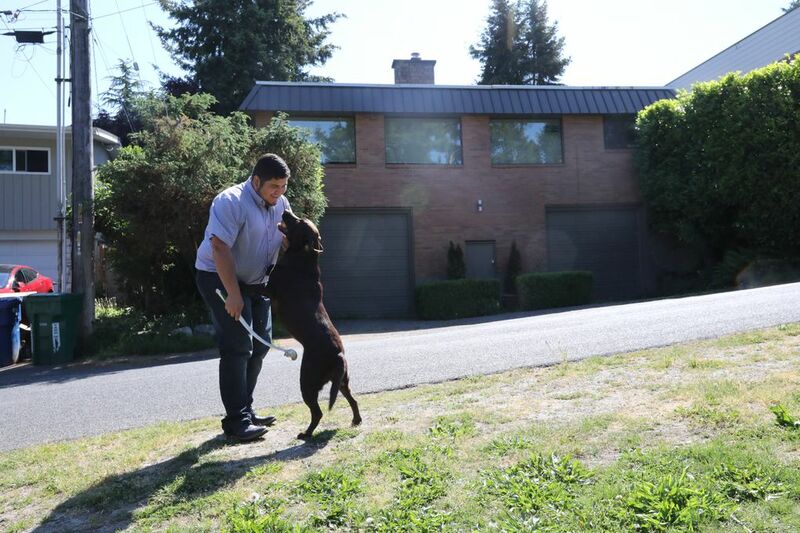 “I was just trying to show him that I speak English, that I belong,” Hernandez says from his home in North Seattle. 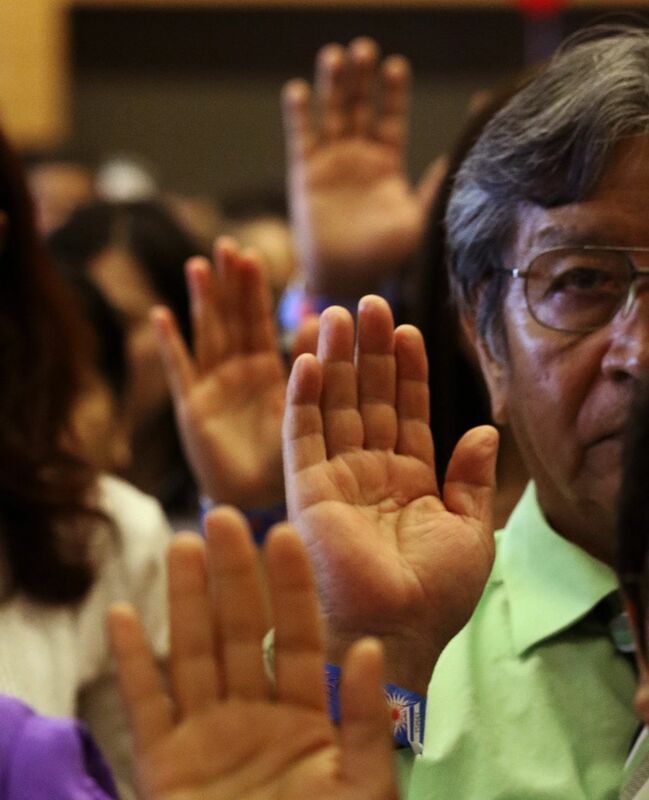 On March 13, after passing his citizenship exam and meeting a host of other requirements, Hernandez finally took his oath of citizenship during a ceremony inside the U.S. Citizenship and Immigration Services Seattle field office in Tukwila. • How many amendments does the Constitution have? • What are two rights in the Declaration of Independence? • Name one branch of government. • What’s the number of voting members in the House of Representatives? • Under the Constitution, some powers belong to the states. Name one of those powers. In truth, the test of becoming an American, of truly belonging, begins from the moment immigrants decide to cross over our border. 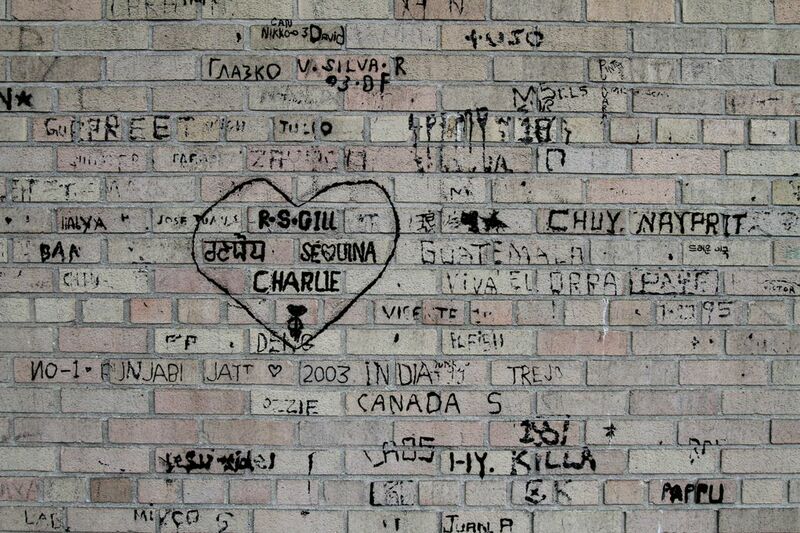 On my travels abroad, I’ve always been struck by the romantic way in which people in other countries who aspire to live here speak about the United States. For them, America, seen from a dreamy distance, is not just a nation — it is an idea that anyone can embody, a promise. The promise of freedom. The promise of opportunity. The promise of safety and security. The promise of something better hovering like a vision on an imaginary horizon, across an ocean or at the other side of a desert, at the other end of war, hunger and persecution. 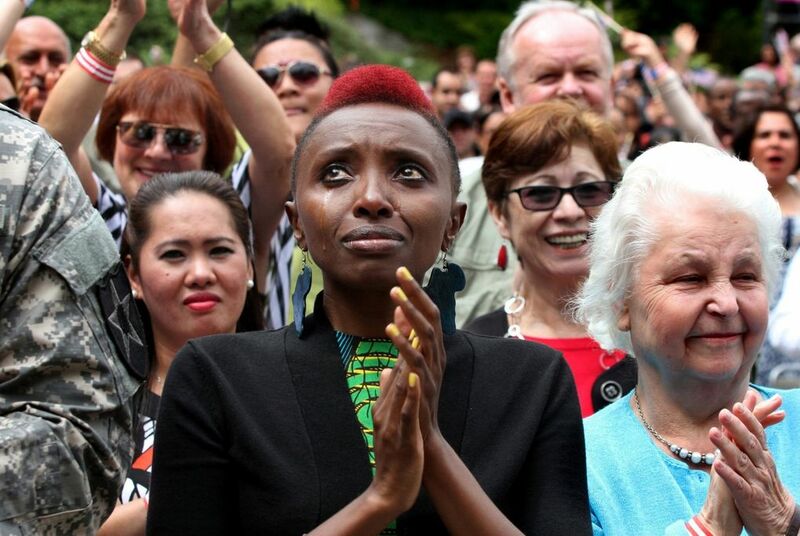 Each year, upward of 750,000 people become naturalized citizens of the United States in headline-grabbing swearing-in ceremonies on Independence Day but also in less-publicized events that happen every week throughout the year. 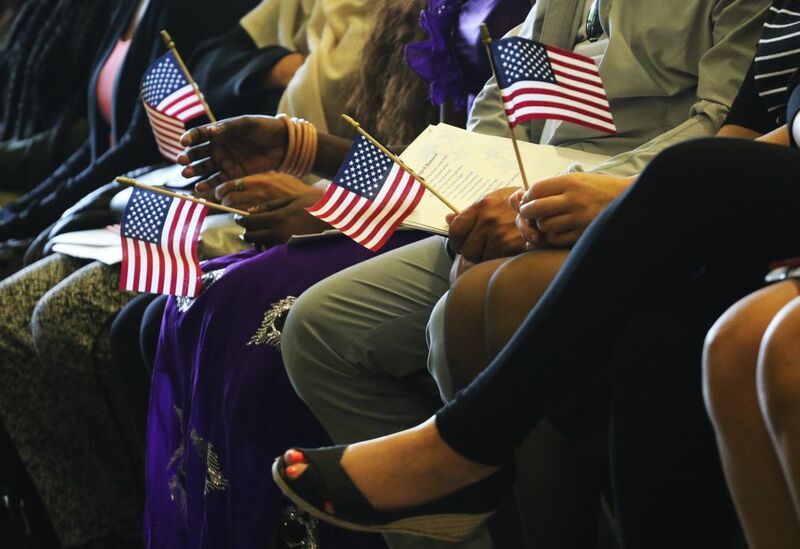 At the field office in Tukwila, housed in a Department of Homeland Security building, ceremonies happen two or three times a week, sometimes with as many as 100 candidates for citizenship receiving naturalization certificates at a time. HERNANDEZ, 28, is a program manager for Lutheran Community Services in Snohomish County, a nonprofit social-services organization, and focuses much of his work on assisting immigrants and refugees, some of whom are working toward citizenship along the same path through bureaucracy and study sessions he followed. Hernandez remembers the day he crossed over from his home country of Mexico — July 9, 2002. He and his 4-year-old brother, Jose Hernandez, also now a naturalized citizen, were among more than a dozen undocumented immigrants who’d paid several thousand dollars each to be stowed away in the refrigerated trailer of a truck hauling bananas into the United States. The driver kept the compartment cold to evade the infrared scanners used by U.S. Customs agents at the border, to keep anyone on the outside from detecting the warm bodies hidden inside. The brothers were on their way to Washington state to be closer to their father, who’d migrated years before to work in the fruit orchards in the eastern part of the state. All Hernandez could think about was how to take his little brother’s mind off the chill of the compartment. It just happened to be his brother’s birthday, so Hernandez distracted him by promising to buy him a cake once they reached the other side. He kept his word when they made it to America — an ice-cream cake from Baskin-Robbins. For a time after coming of age in the states, Hernandez worked as a schoolteacher in Texas, right along the border with Mexico, and he remembers looking out across the Rio Grande to his native country, his mind floating back and forth across the water. Even now, he feels it. Some moments, he feels like a bona-fide American. Other moments, he’s in what he calls “survival mode,” that state of wariness and otherness that immigrants sometimes feel living in a country that can kick them out at any time, where their ability to go abroad or move freely within the country is not guaranteed. 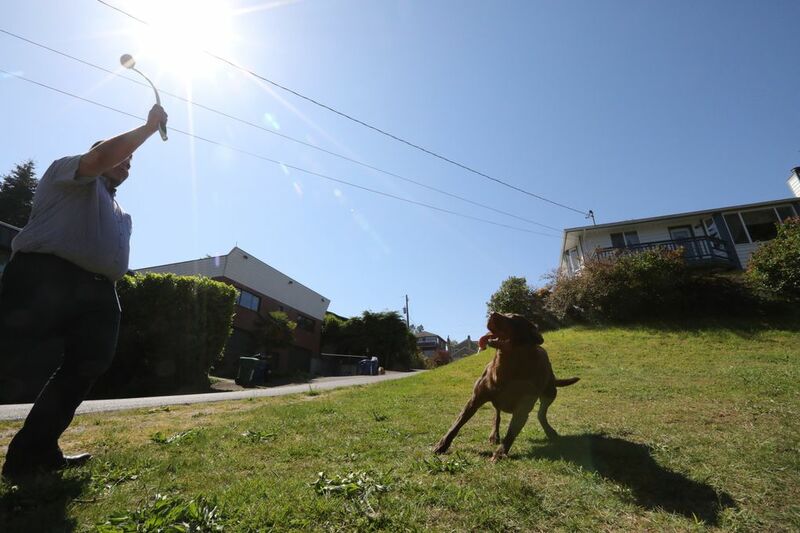 “I got accustomed to that feeling — like, ‘This is my life,’ ” Hernandez says. Hernandez’s parents live on the Eastside, where he attended high school and organized an effort to help fellow Latino students excel in their studies. His mother’s legal residency will be determined next year. His father gained citizenship in 2011, allowing him to petition for legal residency for his sons. Even as he celebrated gaining citizenship — even as he celebrated planning his wedding to his partner of four years, Dennis Ramey — Hernandez feels incomplete. 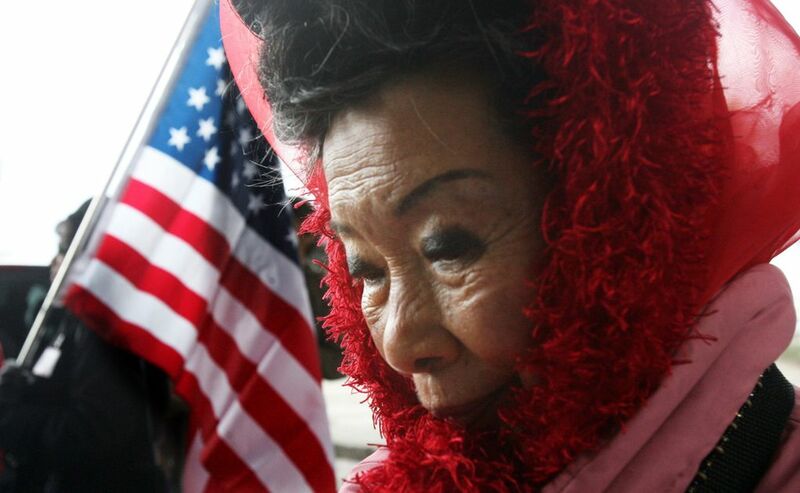 He wants his mother to be able to apply for citizenship, too. But there is no denying that the certificate he received on March 13 changed the way the country saw him and also the way he saw himself. THE VERY IDEA of citizenship — truly belonging to the country in which you live — means accepting that the country will belong to you. It is a marriage of individual to nation, a sacred trust but also an exchange. “There is no higher honor. 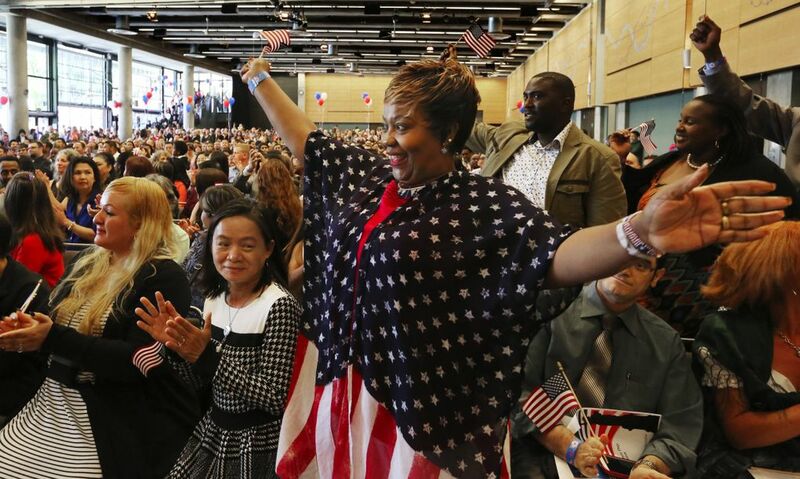 There is no greater responsibility,” President Donald Trump says in a recorded video shown to new citizens when I attend a naturalization ceremony this spring in Tukwila. America is a promise. But to become a citizen, to become one of us, there are some things you have to agree with and buy into. 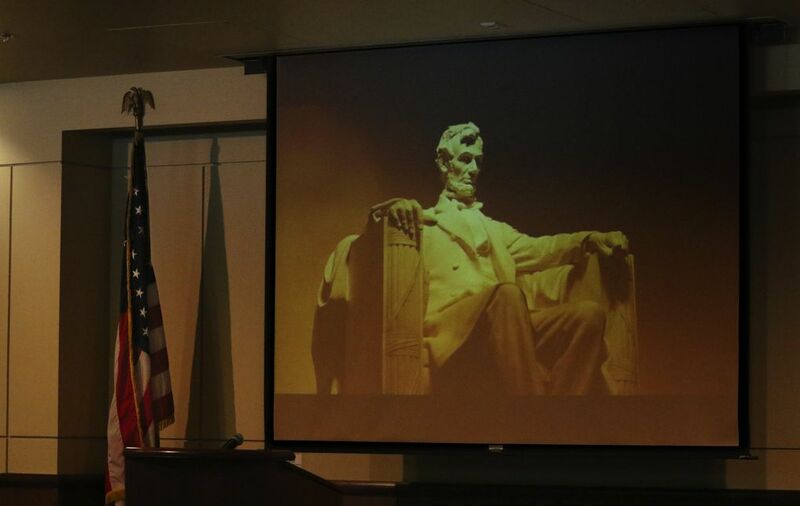 In the auditorium, citizenship candidates are also shown a video montage set to soaring patriotic music titled “The Faces of America” that depicts the United States as an idyllic stew with people representing the cultures of the world. The video is entirely unnecessary. All anyone needs to do is look around the room at the staggering array of backgrounds embodied in the anxious, glowing crowd: Eighty-nine people from 34 countries. We all rise for the playing of the national anthem. The lyrics flash on the big screen, and as the first lines appear, initial silence builds to a nervous murmur, and slowly a room full of accents from the far reaches joins in a soft, solemn, perfectly enunciated chorus. Now it’s time for the naming of nations. Natives of each country are instructed to stand when they hear its name called. South Africa, Republic of Korea, Taiwan. The Gambia, Ukraine, United Kingdom. The whole group is at its feet. Candidates are asked to raise their right hands for the swearing-in. The promise of America is a two-way proposition. A rather grave series of promises must be made in return. 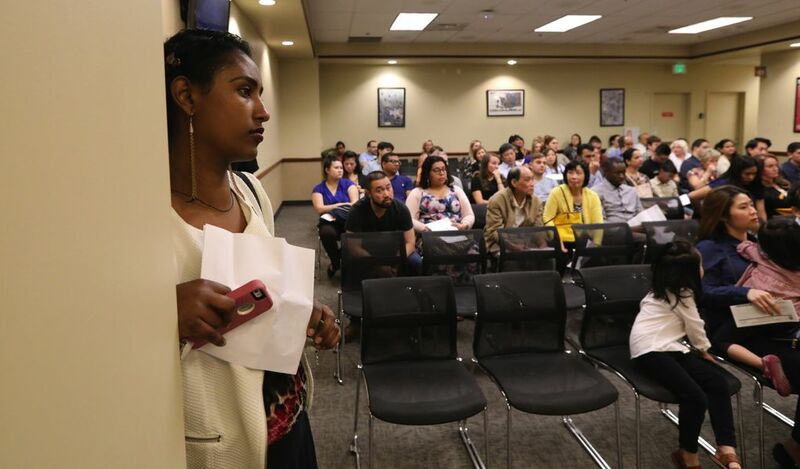 “Congratulations; you are United States citizens,” supervisory immigration services officer Nicole Mozingo declares. The room fills with applause, hoots, smiles and hugs. More than one transformation has taken place. 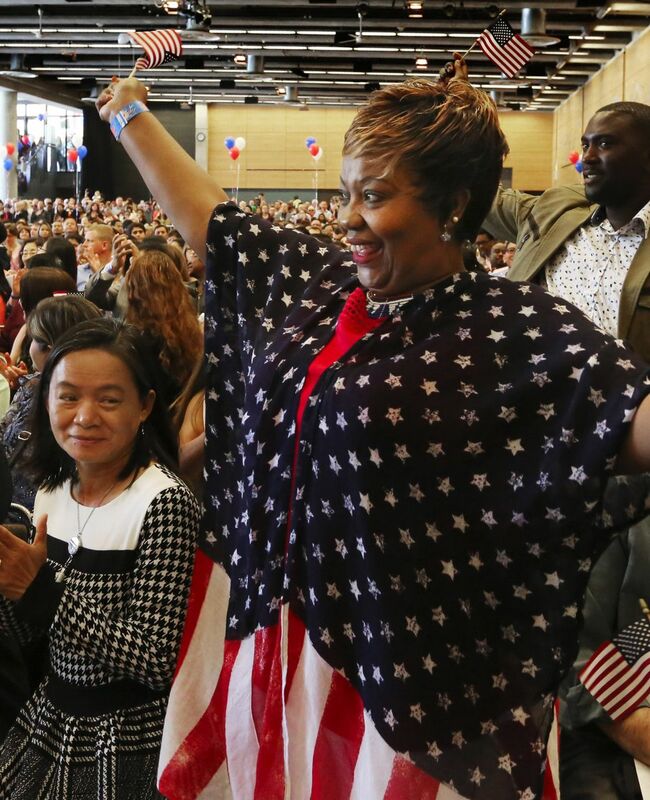 America just gained 89 new citizens, but in that same moment, these new citizens have been changed, too. Mozingo suggests as much when she addresses the room. “So how do you feel?” she asks. “Does it feel any different than when you woke up this morning? 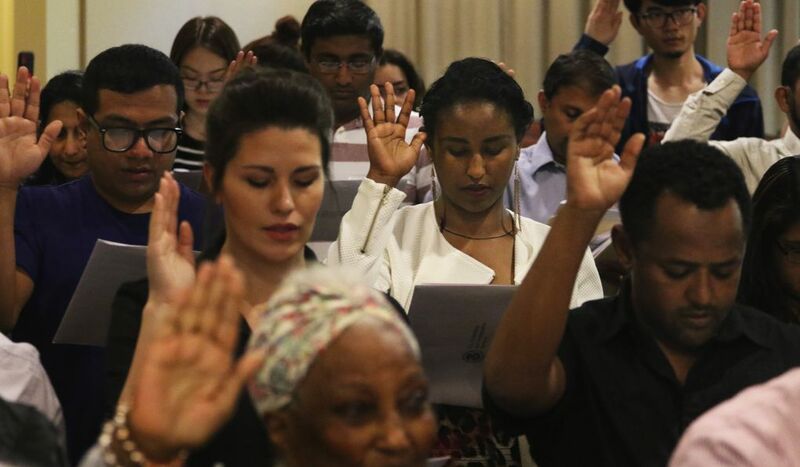 HERNANDEZ SAT IN this same auditorium for his own swearing-in on March 13, and as he finished reciting the oath of citizenship, the question of what it means to be an American came down to one notion: This is forever. After receiving citizenship, Hernandez was for the first time able to take his partner to Mexico to visit his boyhood hometown, El Gargantillo, population 1,027, near Puerto Vallarta. Hernandez showed him the dirt-floor room at his grandmother’s place he used to share with his mother and brother while his dad was in Washington state working to raise money to build a house in the town. Hernandez would help his grandmother sell doughnuts and tamales when he was a boy. He showed his partner where he went to kindergarten and elementary school. His was the kind of “long journey” Mozingo spoke of at the swearing-in. “Most Americans don’t know what the process is” for becoming a citizen, Hernandez says. He’s right about that. What’s more, most Americans have only a fleeting familiarity with basic facts that any engaged citizen ought to know. Just a quarter of Americans can name all three branches of government, and nearly a third can’t even name one of the branches, according to an Annenberg Public Policy Center survey of 1,000 adults taken at the height of the 2016 election season. A majority of those surveyed couldn’t name the Democratic or Republican vice presidential candidates that year: Tim Kaine and Mike Pence. Nearly 40 percent of respondents incorrectly said the Constitution gives the president the right to declare war (that’s the job of the Congress). Hernandez, as a former social-studies teacher who also has served as an immigrant case worker in the local office of Sen. Patty Murray, is enough of a civics and politics nerd to know all of this well before studying for the citizenship exam. And he’s wise enough to understand the meaning of that piece of paper. “This was the government telling me I can stay; I can stay forever,” Hernandez says. As special as receiving his naturalization certificate was, the moment Hernandez felt he really belonged came when he received his voter registration card and saw his name printed on it. No longer did he need to vote vicariously through his partner or friends. His vote, his voice, his participation in society now carries a force and legitimacy that can’t be denied. OF ALL THE things Hernandez remembers at his swearing-in, though, he remembers the air in the room. The stuffy atmosphere overwhelmed him with a sense of having come full circle. He thought back to that banana truck and the cold ride across the border. Now here he was, basking in the glow of citizenship. But Hernandez could not fully rejoice. He thought about his undocumented mother’s legal limbo. All his parents had wanted in 2002 was for the whole family to be together. Now the best way for his family to be whole is for everyone to become eligible to become a citizen. “You can’t help but to feel grief,” Hernandez says. “You kind of mute your celebration because you have people around you who can’t do this. When Hernandez thinks about the emotional journey of becoming an American, he thinks ahead about being able to cast a ballot for the first time this year. When he thinks back on that day in March, he remembers affecting a look of defiance. Even in that moment of triumph, all he could think about was how he didn’t want the government officials in the room to see desperation in him. He walked out of the Homeland Security Building in Tukwila a free man in a country grappling with how to deal with — and even talk about — immigrants, refugees and undocumented residents. And he thinks about the video from Trump during the ceremony, contrasting it to the president’s often-off-color rhetoric toward immigrants and refugees, his tough deportation policies and his plans to build a wall on the U.S./Mexico border to stem illegal crossings. Now Hernandez was a citizen. He wasn’t going anywhere. He belonged. “You made it so hard, so hard for me to get this, but I’m grateful,” he also remembers thinking. 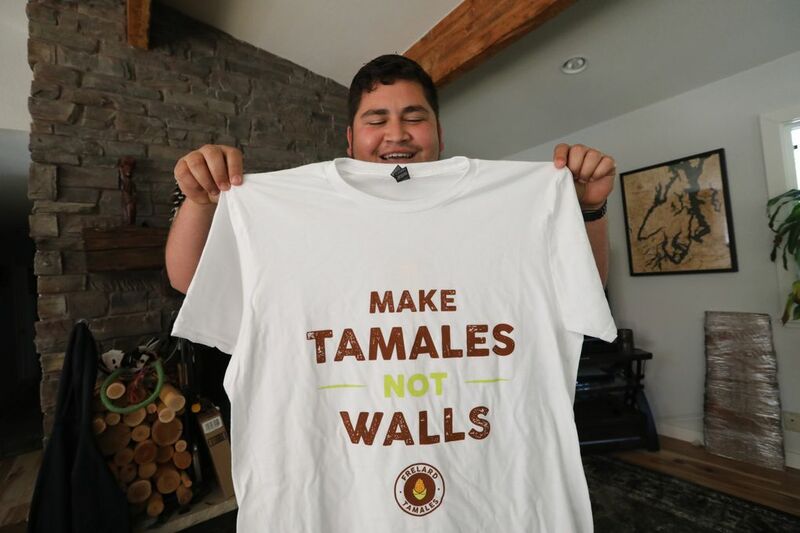 Hernandez says he and Ramey are opening a tamale shop in Seattle’s Green Lake neighborhood with recipes inspired by his grandmother’s cooking back in Mexico. There will be a little taste of El Gargantillo in every bite, a connection to the old world in the new one. He holds up a T-shirt in his living room that says so much about his life and our times. Tyrone Beason is a Pacific NW magazine staff writer. Reach him at tbeason@seattletimes.com or 206-464-2251.